Those not willing to commit to employing staff on a permanent basis may want to consider recruiting help temporarily. If unsure about the staffing levels required at the barbers, an employment agency may have the answer in the form of agency workers. Generally speaking, the worker supplied by the employment agency will be under the control of the employer but paid by the agency. Much of the basic administration of recruitment, such as advertising, will have been done by the agency and there will be no need to deal with payroll and related issues either. The barbers’ contract will be with the agency only and it may be possible to make a single payment to cover several agency workers. Temping is often seen as an inferior choice when compared to permanent work, but agency workers are engaged by the agency and have a contractual relationship with it. Temporary staff can be used to fill gaps caused by staff absences or labour shortages, but remember the barbers will still be responsible for agency workers’ health and safety and always avoid discrimination against anyone who carries out work for the business. Another way to recruit staff on a temporary basis is to offer a fixed-term contract. Such a contract can run for a specified time set in advance or end with the completion of a specified task or when a specified event takes place. 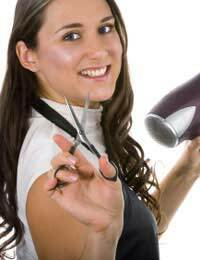 For instance, the barbers may not want to employ permanent staff initially as the workload involved will be an unknown quantity, or perhaps cover is needed for someone on maternity leave or for employees on holidays during the summer. Fixed-term contracts allow specific skills and labour to be brought in on a temporary basis as and when they are needed. Unless there are special circumstances that can be justified, fixed-term employees must be treated the same as comparable permanent employees, with the same pay and conditions, an equivalent benefits package, the same or equivalent pension scheme and the same opportunity to apply for vacancies for permanent posts in the barber shop. Fixed-term employees also have access to the same employment rights as their permanent equivalents, and be aware that under the Fixed-term Employees (Prevention of Less Favourable Treatment) Regulations, an employee who has been on a fixed-term contract for four or more years will usually be classed in law as a permanent employee if their contract is renewed or if they are re-engaged on a new fixed-term contract. The business will need to make the same tax arrangements for fixed-term employees too, so check with HM Revenue & Customs (HMRC) to see if the business needs to operate PAYE and register with HMRC as an employer.Just as for permanent staff, it is essential to keep and maintain accurate records for temporary employees, including their personal details, how much they are paid and what deductions are made. Also keep records of any expenses and benefits, such as medical insurance, that the barbers provides for temporary employees. We are looking for family staff barber. 5coombe road new malden kt3 4px 07944559980 Good relation ship with recall costommer. Please contact sam's barber shop. We've just taken on a new staff member on a fixed term contract for one year to cover maternity leave. However if the staff member doesn't return after maternity we will take on the new staff member on as a permanent staff member (as long as he's good).